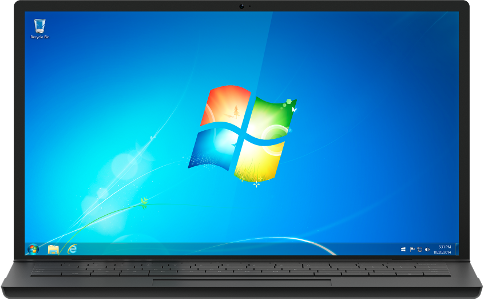 If you need to install or reinstall Windows 7, you can use this page to download a disc image (ISO file) to create your own installation media using either a USB flash drive or a DVD. Your Windows product key (xxxxx-xxxxx-xxxxx-xxxxx-xxxxx). A blank USB or DVD (and DVD burner) with at least 4 GB of space if you want to create media. We recommend using a blank USB or blank DVD, because any content on it will be deleted. For Enterprise editions please visit the Volume Licensing Service Center. This product requires a valid product activation key in order to be downloaded. Enter the 25-character product key that came with your product into the field below. Your product key is located inside the box that the Windows DVD came in, on the DVD or in the confirmation email that shows you purchased Windows. Once the product key has been verified, select a product language from the menu. Select either the 32-bit or 64-bit version for download. If both are available, you will receive download links for both. Not sure which one? See the FAQ page for more information on how to determine which version(s) you need.